Bookland is an imaginary place invented in the 1980s to provide a “country code” for the EAN which the book trade had decided to move to (expanding on the ISBN system started in UK in 1966 and USA in 1968 – yes I started in this business before there were SBNs). All EANs (European Article Numbers) start with a 3 digit country identifier, indicating where the manufacturer of the product is registered. Because the same book can be available in many countries, and may be manufactured at different (or indeed the same) times in different countries, the original country identifier was not workable for books. Oxford University Press is a perfect example of this simultaneous availability of the same item in many different countries. The solution was to come up with an imaginary country, Bookland, which would be the place of origin of all books. It’s a bit like Santa, actually. Following after the 978 which identifies Bookland, the ISBN is made up of the following elements. A language indicator: 0 and 1 both mean English. Of course it’s not the language of the book itself that’s indicated, it’s the language of the publisher’s home base. Thus an OUP book in Spanish would still be 978-0-19. In fact the “language indicator” is more accurately a country indicator: for instance Spain is 84 and Mexico is 968 and 970. Next comes the publisher prefix, which will be of varying length depending on the number of ISBNs expected to be issued by that publisher. HarperCollins is 02, Oxford 19, Cambridge University Press 521, New York Review Books 59017 and so on. The remaining digits, except the last, are unique identifiers of the book, with the last one being a check digit. The check digit is there so that any computer set up to deal with books can identify whether the numbers it has just been fed are a valid ISBN or whether there’s a typo in the numbers. The calculation methods are different for ISBN-10 and ISBN-13, though they both involve calculating the “remainder” after a division. For an ISBN-10 the first nine digits in order are multiplied by 1, 2, 3, 4, 5, 6, 7, 8, and 9, then the resulting answers are added up. That total is divided by 11, and the remainder is the check digit. If it’s 10, then the check digit becomes an X. Calculation of the ISBN-13 check digit is done using a modulus 10 formula. Each of the first 12 digits is alternately multiplied by 1 or 3. The check digit is equal to 10 minus the remainder resulting from dividing the sum of the weighted products of the first 12 digits by 10. The formula is mod 10 (10 – mod 10[X]) = Check Digit. 9 7 8 0 1 9 5 3 1 1 4 5 ? 10-3 = 7. So check digit is 7. 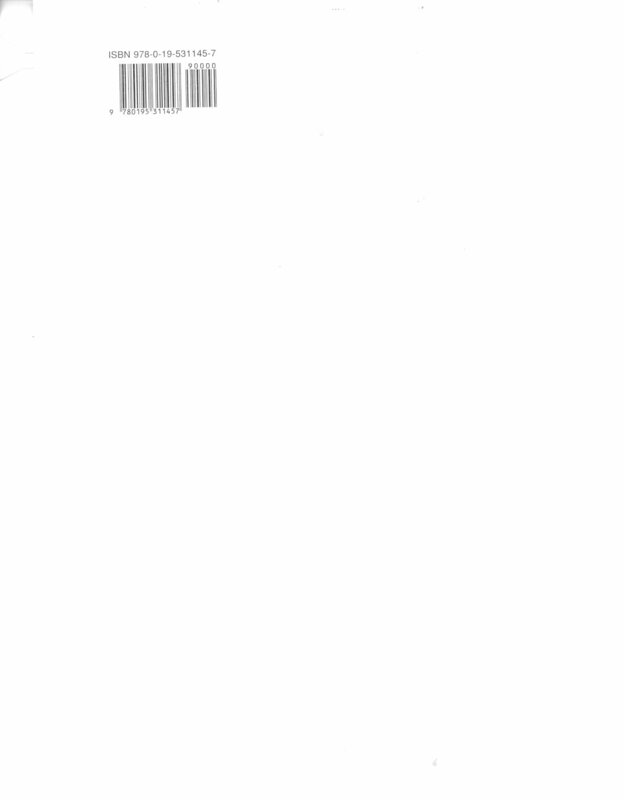 Think of the EAN barcode as the numbers of the ISBN set in a different typeface, a typeface consisting of thick and thin stripes. To the right of the barcode is (usually) a series of shorter bars which are for the price. A book’s price tends to be more changeable than many products’ (or the inventory tends to sell over more price cycles than most products) so publishers tend to leave this price add-on empty: it appears as 90000 in this case. You may see the price add-on in use on faster moving titles from trade publishers. After initial resistance by the less numerate members of the publishing community (about 99.99% of them in the sixties) ISBNs have obviously caught on. It’s sometimes a little frustrating when operations staff refer only to ISBNs, as if the objects we deal in didn’t have any other identifying features, and as if customers were purchasing a lottery number rather than a book with interesting contents.